CSA Environmental are seeking to recruit an archaeology and heritage consultant to join our expanding team. This is a great opportunity for an individual looking to start or develop a career in heritage consultancy. The successful candidate will be based in our Pershore Office, located within the Cotswolds AONB, where our friendly team includes heritage and ecology colleagues. CSA Environmental was established in 1998 and continues to grow, employing over 50 staff across three offices. We pride ourselves on offering expert, reliable advice and delivering high-quality work. 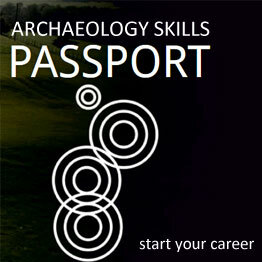 At the assistant level you will have a good degree in archaeology or closely related subject. Experience of archaeological fieldwork will be an advantage, but is not essential. At the consultant level you will have experience of preparing heritage assessments and will be comfortable working independently, with guidance from senior staff as necessary. For an informal discussion please contact Rosey Meara on 01386 751100. Please quote BAJR in your application. Hover over Level for info. Going Rates (excl London weighting or benefits): based on average over past 3 months. Safe and secure archaeological toolstore with everything you need. Student? Digger? Contractor? University? National and International sales - run by archaeologists for archaeologists. come on in and have a look.